Bring out the gimp! No more wondering if the gimp is sleeping - the famous "Pawn Shop" scene from Pulp Fiction has finally been made into Minimates form! The 4th box set based on Quentin Tarantino's iconic 1994 film captures the main players in the famous dungeon sequence: Butch, Marsellus Wallace, Zed and the Gimp! 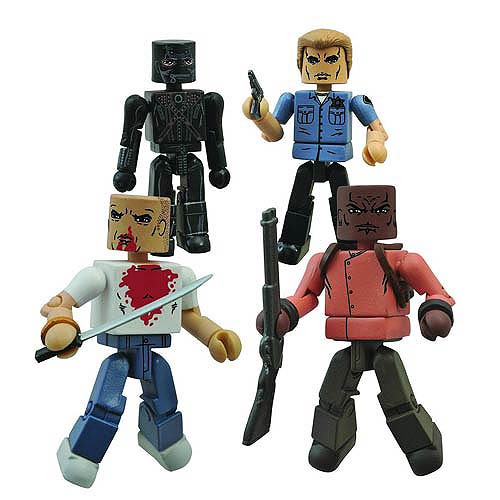 Each 2-inch Minimates mini-figure features 14 points of articulation as well as interchangeable parts and accessories. Packaged on a full-color blister card. Ages 8 and up.